Leigh Price is General Editor of the Journal of Critical Realism and Senior Research Associate, Rhodes University. She and her colleagues were recently awarded the Cheryl Frank Memorial Prize for exemplifying the best new writing in the tradition of critical realism. 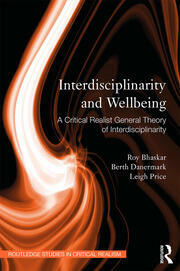 Her most recent, co-authored book is "Interdisciplinarity and Wellbeing: A Critical Realist General Theory of Interdisciplinarity".